What is the cheapest way to get from Cologne/Bonn Apt Airport (CGN) to Bernkastel-Kues? The cheapest way to get from Cologne/Bonn Apt Airport (CGN) to Bernkastel-Kues is to drive which costs 18€ - 27€ and takes 1h 43m. What is the fastest way to get from Cologne/Bonn Apt Airport (CGN) to Bernkastel-Kues? The quickest way to get from Cologne/Bonn Apt Airport (CGN) to Bernkastel-Kues is to drive which costs 18€ - 27€ and takes 1h 43m. How far is it from Cologne/Bonn Apt Airport (CGN) to Bernkastel-Kues? The distance between Cologne/Bonn Apt Airport (CGN) and Bernkastel-Kues is 107 km. The road distance is 163.5 km. How do I travel from Cologne/Bonn Apt Airport (CGN) to Bernkastel-Kues without a car? 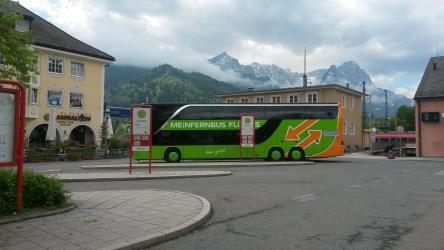 The best way to get from Cologne/Bonn Apt Airport (CGN) to Bernkastel-Kues without a car is to bus which takes 2h 25m and costs 28€ - 40€. How long does it take to get from Cologne/Bonn Apt Airport (CGN) to Bernkastel-Kues? It takes approximately 2h 25m to get from Cologne/Bonn Apt Airport (CGN) to Bernkastel-Kues, including transfers. Can I drive from Cologne/Bonn Apt Airport (CGN) to Bernkastel-Kues? Yes, the driving distance between Cologne/Bonn Apt Airport (CGN) to Bernkastel-Kues is 164 km. It takes approximately 1h 43m to drive from Cologne/Bonn Apt Airport (CGN) to Bernkastel-Kues. Where can I stay near Bernkastel-Kues? There are 1104+ hotels available in Bernkastel-Kues. Prices start at 50€ per night. What companies run services between Cologne/Bonn Apt Airport (CGN), Germany and Bernkastel-Kues, Germany? 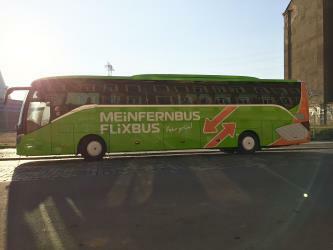 FlixBus operates a bus from Cologne/Bonn Apt Airport (CGN) to Bernkastel-Kues once daily. Tickets cost 7€ - 13€ and the journey takes 2h 10m. Discover how to get to attractions and hotels near Bernkastel-Kues. The Cusanusstift (St. Nikolaus-Hospital) is a historic building in Bernkastel-Kues, Germany. It was founded by Nicholas of Cusa in 1458. It contains a world-famous library and a wine museum. Grevenburg was a castle in Traben-Trarbach in the federal state of Rhineland-Palatinate in Germany. The castle was formerly the residence of the Rear County of Sponheim and today is a ruin following its destruction by the French in 1734. Schloss Lieser (Castle of Lieser) in the Mosel valley nearby Bernkastel-Kues is one of the most striking buildings within the village of Lieser, Germany. The Graach Gate (German: Graacher Tor) is the last remaining town gate of the German town of Bernkastel-Kues. The name Graach refers to the neighbouring village of Graach connected by a narrow road to the gate. Currently the building is used as a museum of local history. 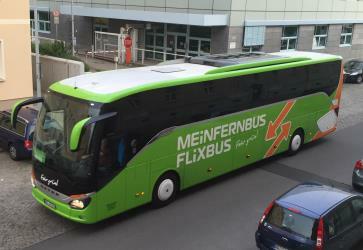 Rome2rio makes travelling from Cologne/Bonn Apt Airport (CGN) to Bernkastel-Kues easy. Rome2rio is a door-to-door travel information and booking engine, helping you get to and from any location in the world. Find all the transport options for your trip from Cologne/Bonn Apt Airport (CGN) to Bernkastel-Kues right here. Rome2rio displays up to date schedules, route maps, journey times and estimated fares from relevant transport operators, ensuring you can make an informed decision about which option will suit you best. Rome2rio also offers online bookings for selected operators, making reservations easy and straightforward.